Mark and Yvonne are long standing owners with Jeanette – they joined the team back in 2000, describing eventing as the ultimate challenge. Their current horse is Freckles, who they bought as a four-year-old in December 2011. 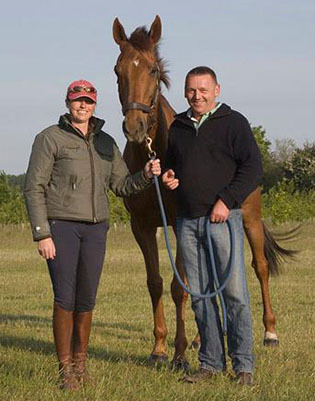 Mark says: “I like Jan’s patience and how precise she is with her development of the horses. 1 Day events are for training and education, but 3 day events are taken much more seriously and competitively.